Okay ladies, time to ‘fess up. 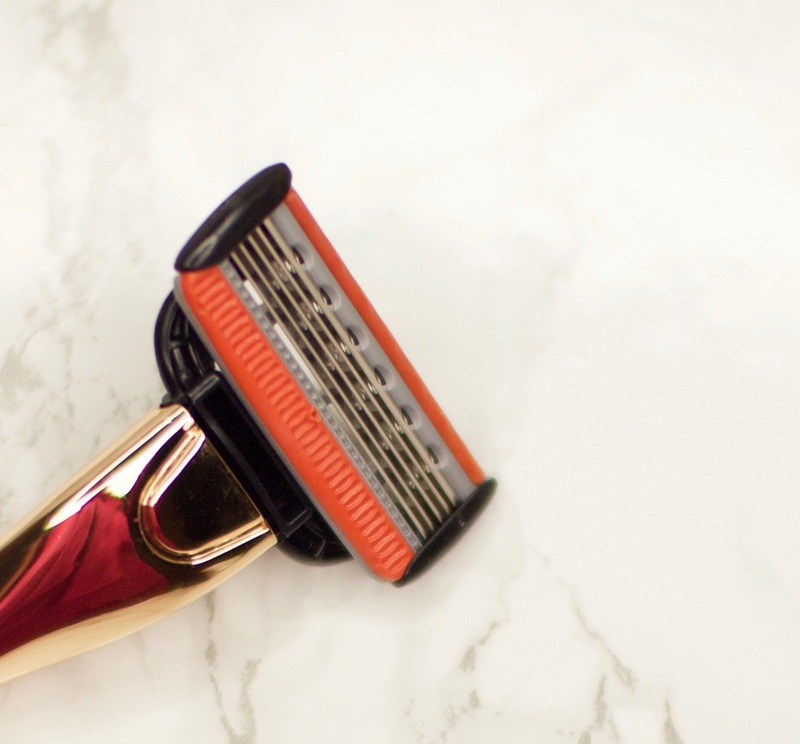 When was the last time you changed your razor? 3 weeks ago? Last month? So long ago that you can’t even remember and now your toes are curling at the thought of going to check the state of your razor? Same. It’s not that I intentionally don’t change my razor head within a suitably hygienic timescale, I just forget. Razors aren’t exactly the most exciting things to buy when you’re in Boots or the supermarket, are they? So it’s not ’til I have 10 minutes to get ready and I’m scraping a nasty old razor up my shin that I vow to buy a new one. And then the process repeats again. If this sounds somewhat familiar to you, then I may have found the solution. Friction Free Shaving. 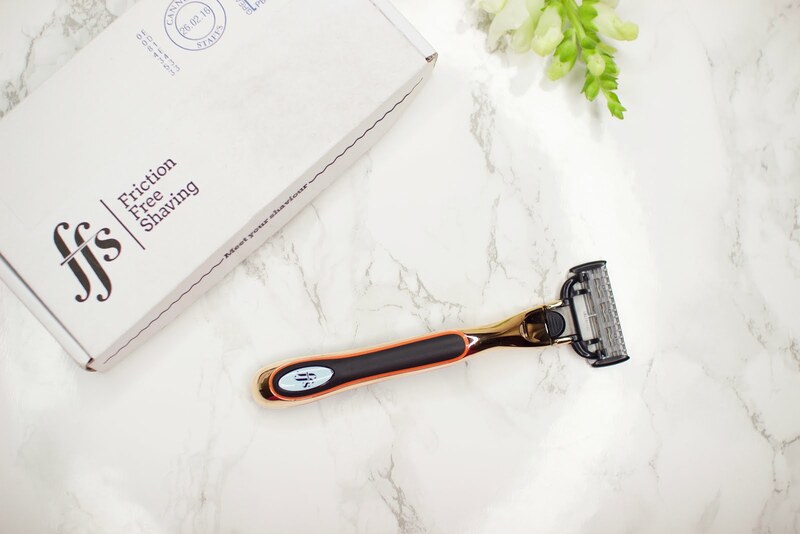 Friction Free Shaving is the UK’s first women’s monthly razor subscription service. 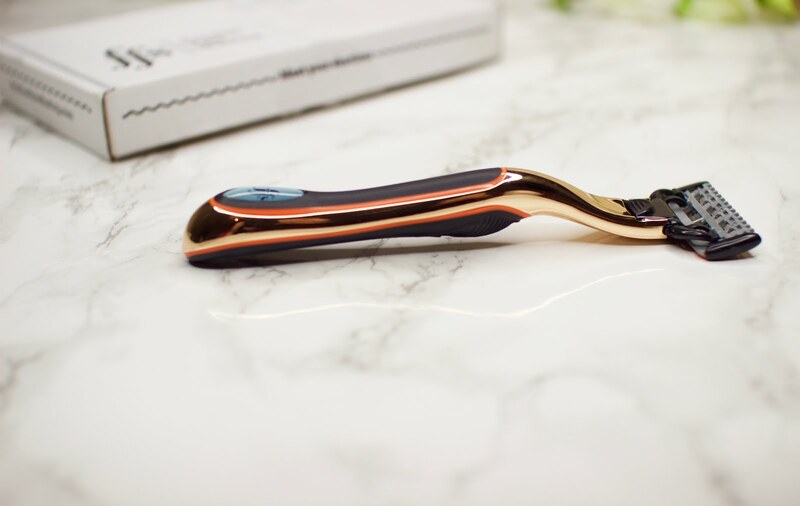 The first month, you’ll receive a beautiful new razor of your choice and 4 blades through your letterbox. Every month after that, you’ll receive 4 fresh refill blades. Which basically works out at a fresh razor head every week with none of the hassle of remembering to go buy new razors. Genius. At the moment, you’re probably paying a lot of money for razors that aren’t really all that great quality. You’re also probably not changing your razor enough which leads to a build up of bacteria on the blades and possible skin irritation. Not cute. If you feel that a fresh razor head every week is a little excessive for your shaving routine, worry not. You can choose to receive (and pay for) 4 fresh blades every second month instead. I don’t think I’ve ever been so excited about a razor before, I am in love! As you can see from the pictures, I chose the Samantha razor. 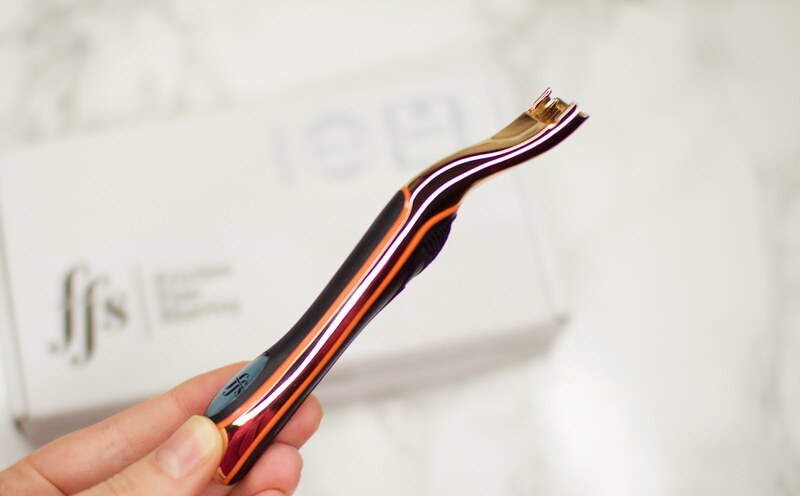 The razor is incredibly high quality and much better than any razor I’ve ever used – even ones that have cost me double the price! The handle is ergonomically designed so it is super easy and comfortable to hold. It’s made of metal and is actually quite weighty, which makes it easier to control than a flimsy plastic razor that I’d probably end up flinging about and taking off half my eyebrow. The 90-degree pivoting head makes awkward and hard to reach places (such as knees and ankles) a doddle to reach without cutting yourself. The razor and heads are packaged in a slim and compact box that will easily fit through your letterbox. So no need to make the extra journey to the post office to collect missed parcels or your packages being left in (not so) ‘safe’ places. Doesn’t this all just sound too good to be true?! If you’re interested in a new razor, click the link to be taken to their website > www.frictionfreeshaving.com . Their website is really well designed, and has kind of a sassy feel to it which I find pretty hilarious. This page in particular cracks me up. 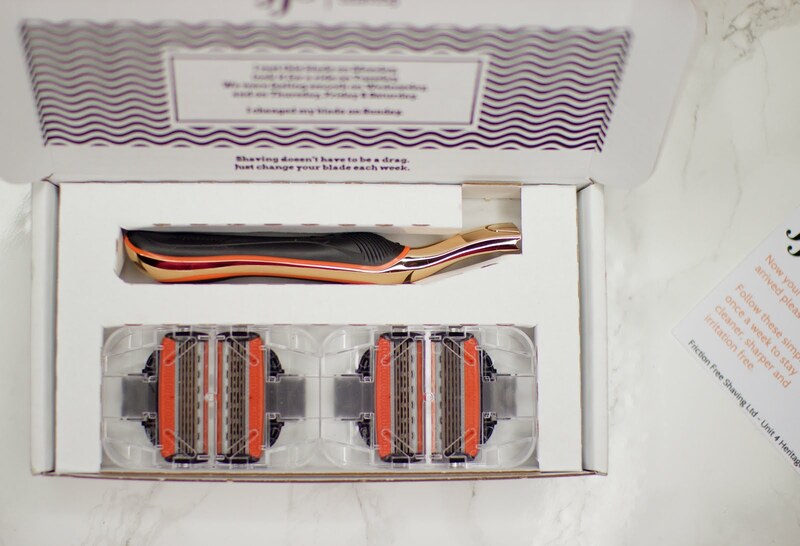 Do you think you’d give Friction Free Shaving’s subscription service a try? Let me know! 5 Ways To Feel Better Instantly! "NUXE Rêve de Miel Lip Balm"
I hadn't heard of them either until they contacted me, but it's honestly changed my life! I've told everyone about it!